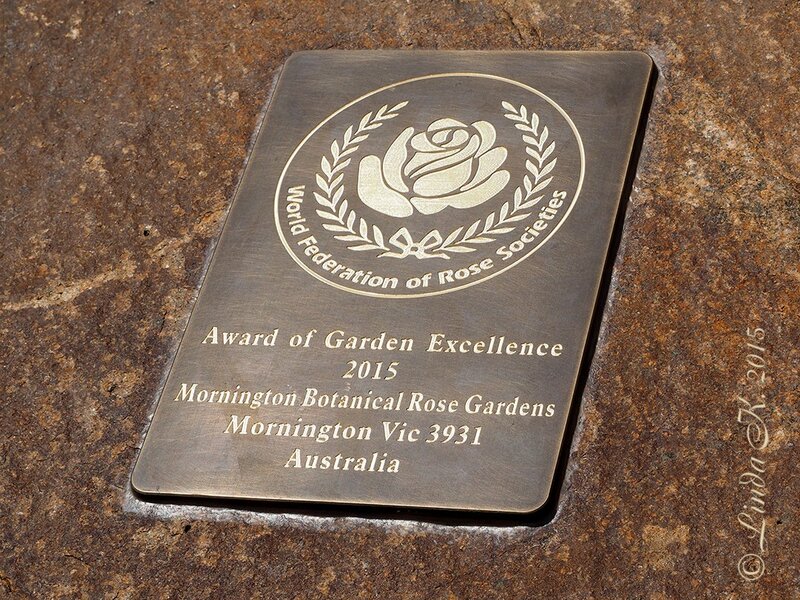 The concept for the Mornington Rose Gardens was the brainchild of a local businessman Don Gordon who was inspired by the rose garden in Benalla that was situated next to the art gallery. The land was allocated for this purpose by Mornington Peninsula Shire Council after much lobbying by Don. He unfortunately passed away before he could see his dream become a reality. Don is remembered by the dedication of the information centre in the garden as the Don Gordon Garden Room. 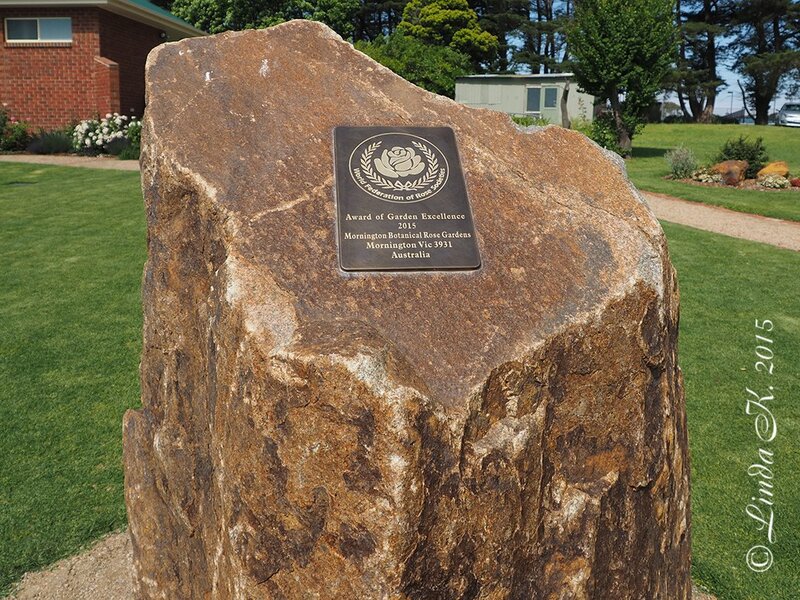 The first sod was turned by Councillor Anne Shaw on a freezing day in June 2004. 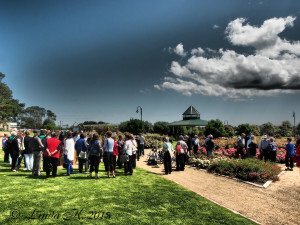 The rose garden was built by volunteers during one of the longest droughts in Australia and has been hooked up to recycled water. 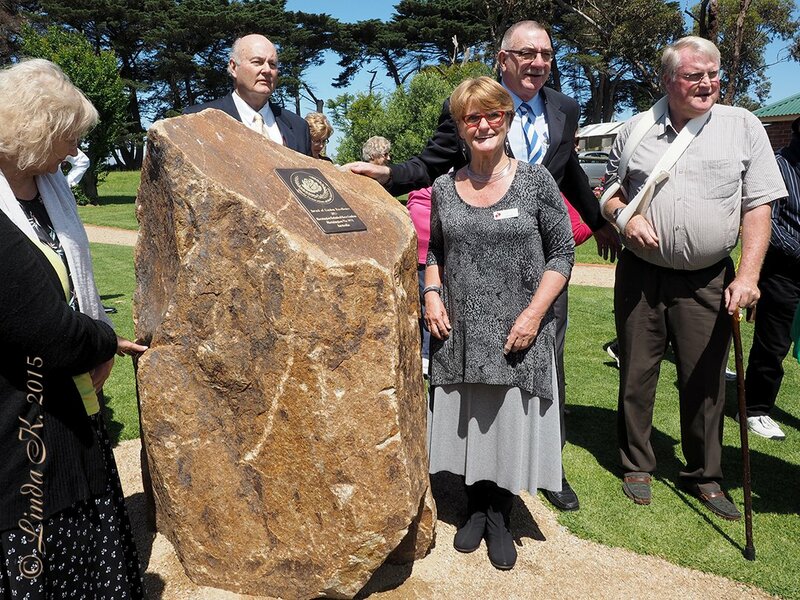 The Mornington Rose Gardens was officially opened by the well-known gardener and radio and television personality Jane Edmanson in November 2008. 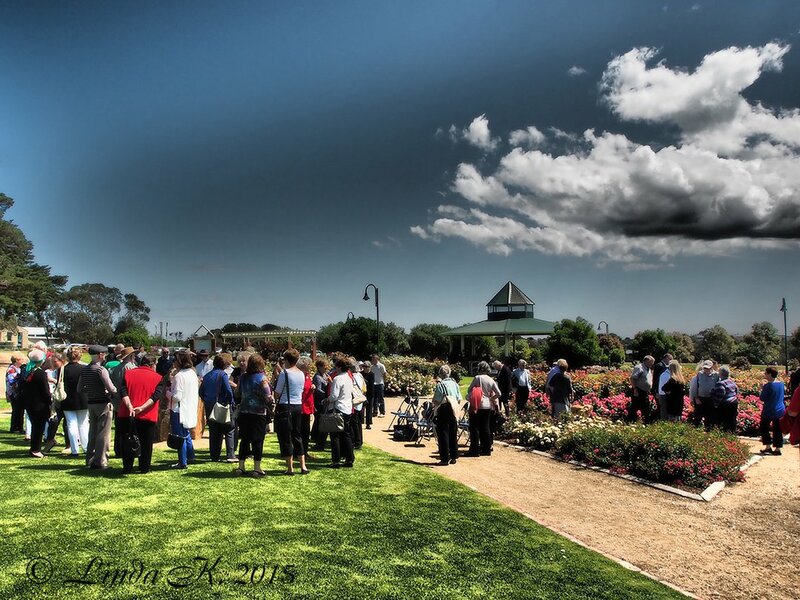 The Don Gordon Garden Room and information centre was opened in November 2013 by Don Gordon’s grandson William Gordon who spoke about his grandfather’s dedication to this project and his vision to have a rose garden between two art galleries in Mornington. The inspiration for the design was our location in Mornington and its yachting history and was designed by Barry Johnston a well-known landscaper and authority on roses. The design is based on a racing yacht spinnaker and from the viewing platform this is easily discernable when the roses have been pruned in winter. 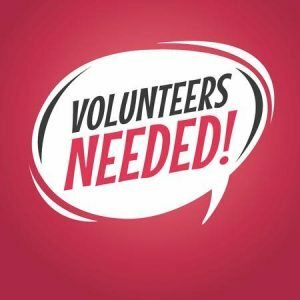 The roses for the garden were donated by Treloar Roses of Portland, Victoria, and all the fertilizers used are donated by Neutrog. A feature of the garden situated in front of the entrance colonnade, the rotunda provides an appealing area to relax and enjoy the vista of roses with the colour combinations set on an artist’s palette. It has become a very popular venue for wedding ceremonies, proposals and other significant celebrations. A heritage garden has been developed around the garden room with a reflective pond and seats surrounded by heritage roses, a tranquil place to come sit and reflect. These roses have been sourced from the David Rusden collection. 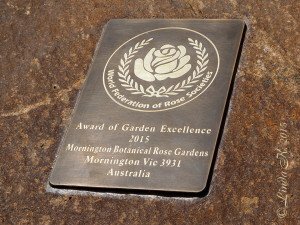 AWARD of GARDEN EXCELLENCE for OUTSTANDING ROSE GARDENS. At that time, this was only the 3rd such award within Australia and the 43rd world wide! Guests and volunteers unveiling the plaque. Plaque mounted on local granite. Granite donated by Rock and Redgum Garden Supplies, Dromana. Guests and volunteers during the unveiling ceremony.